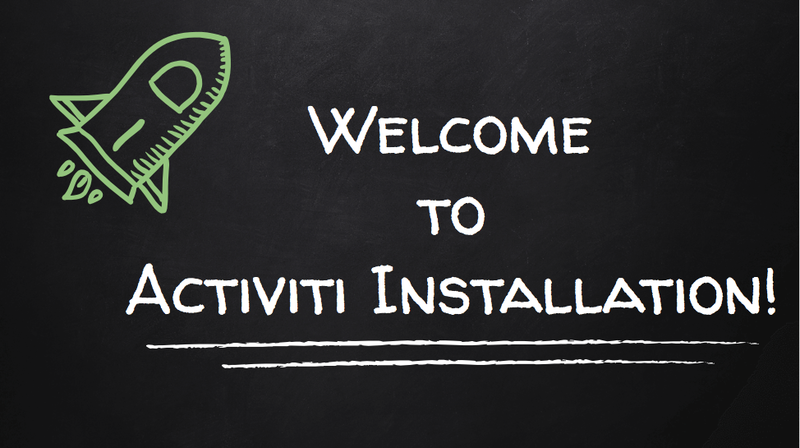 How do we install Activiti? Welcome to the Activiti BPM Suite installation module, presented by Alfresco University. 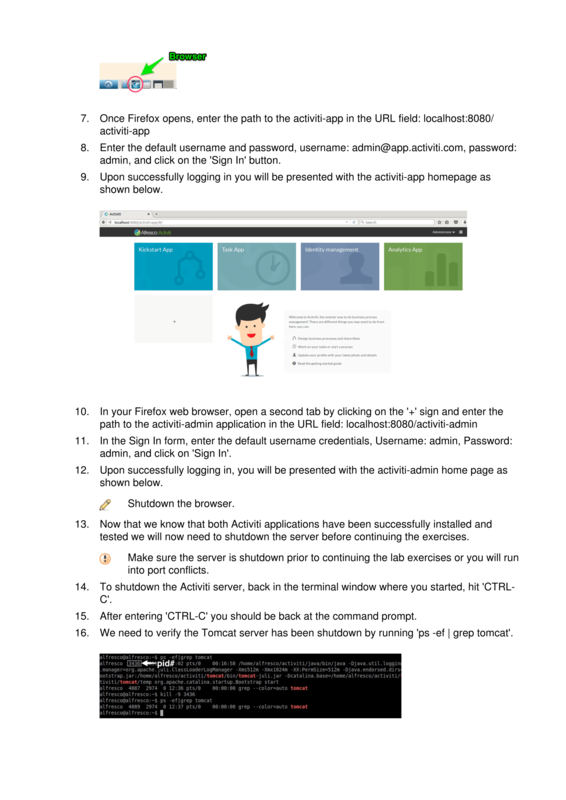 In this module, we’re going to discuss how to install and activate Activiti 1.4. 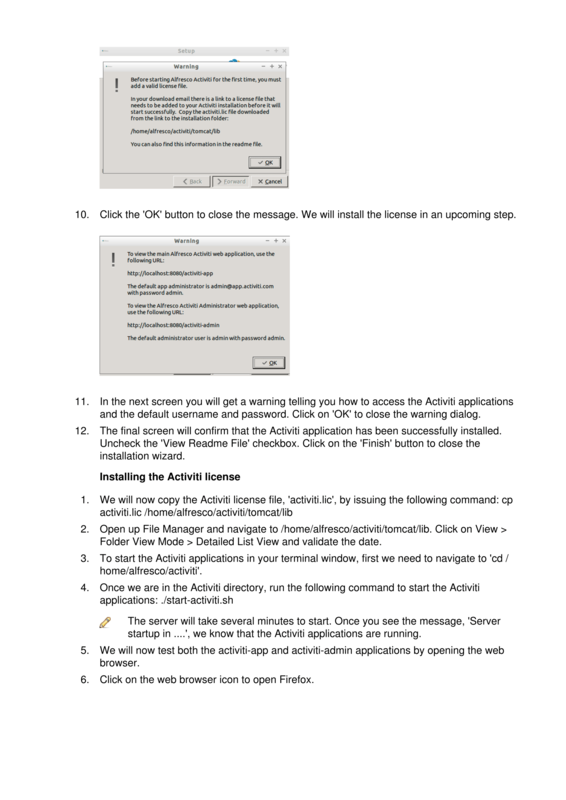 There are two methods of installing Activiti. 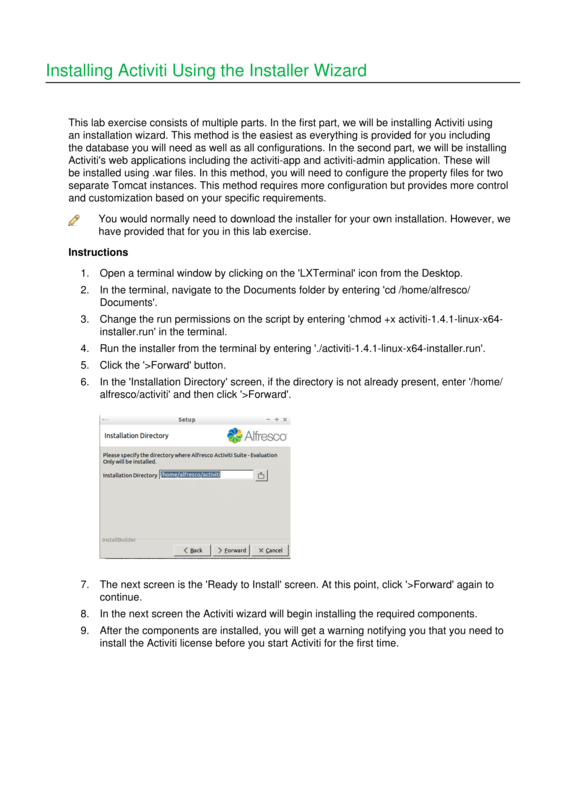 The first involves using the Alfresco Activiti Installer, which is a simple, step-by-step installer program that walks you through the installation process. 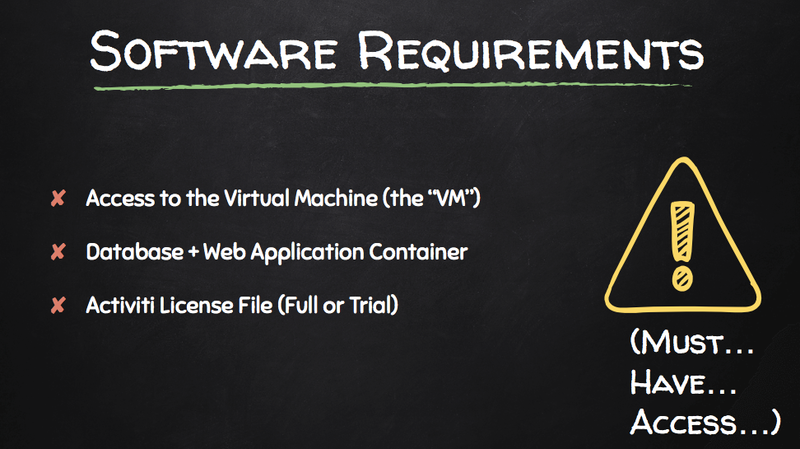 In Lesson 1, we’ll take you through this process and show you how to download and apply your Activiti license file. 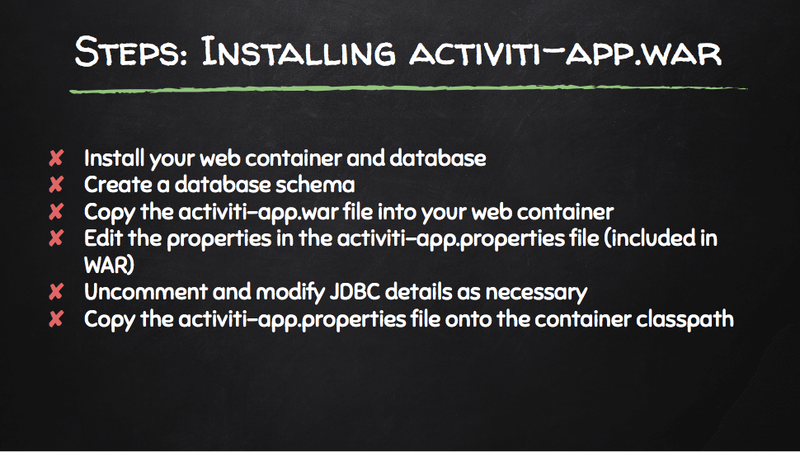 In Lesson 2, we’ll explore the second (and more advanced) method of installing Activiti. If you choose, you can do this using two Web Application Archive files (or “WAR” files). This allows you to use your own web application container and database, if you decide that method meets your unique needs. In Lesson 3, we’ll go over how to quickly start and stop your Alfresco server, which will also start and stop Activiti. And finally, in Lesson 4, we’ll verify that our installation was successful by starting up Alfresco and logging in to the Activiti BPM Suite. 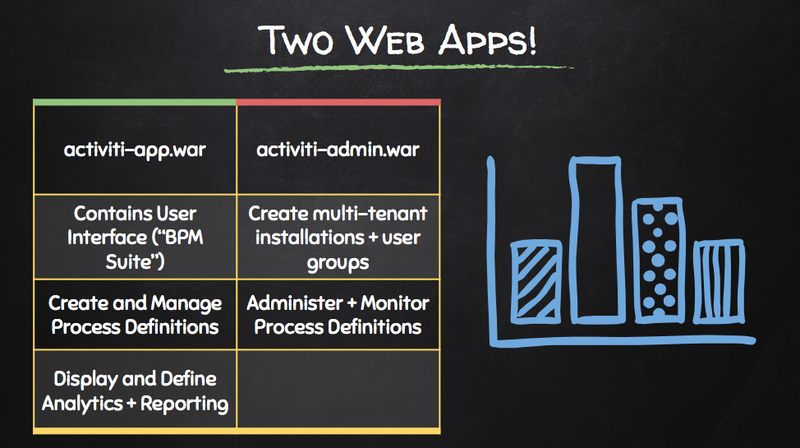 By the end of this module, you should know how to install Activiti via two different methods, how to start and stop your server, how to configure multiple tenants post-install, and how to verify that your installation was successful. Note: After watching the demonstration, please proceed to your first lab exercise. 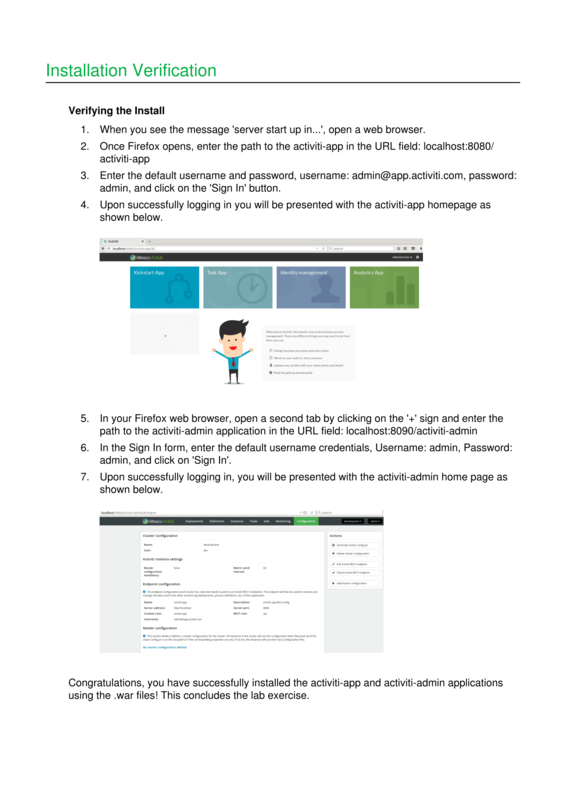 First, you will need to perform these steps to install the Alfresco Activiti webapp, activiti-app. This app is the user interface for people involved in the process and tasks running in the Activiti engine. You also use this webapp to create and manage process definitions, and to display and define analytics reports on users' tasks and processes. 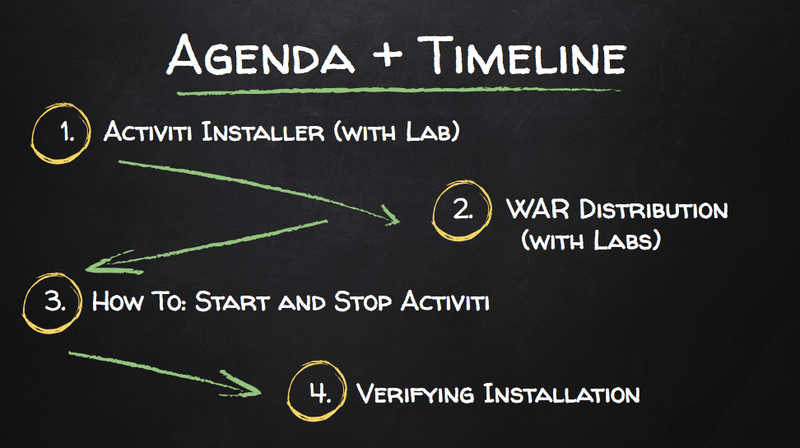 Listed on the screen are the steps required to complete installation of the Activiti app. 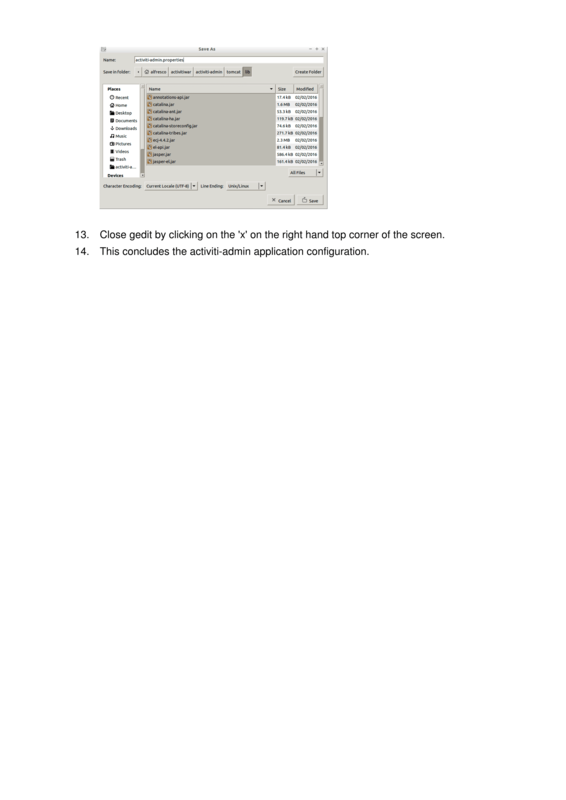 These steps are followed by a short demonstration showing how to install the application. 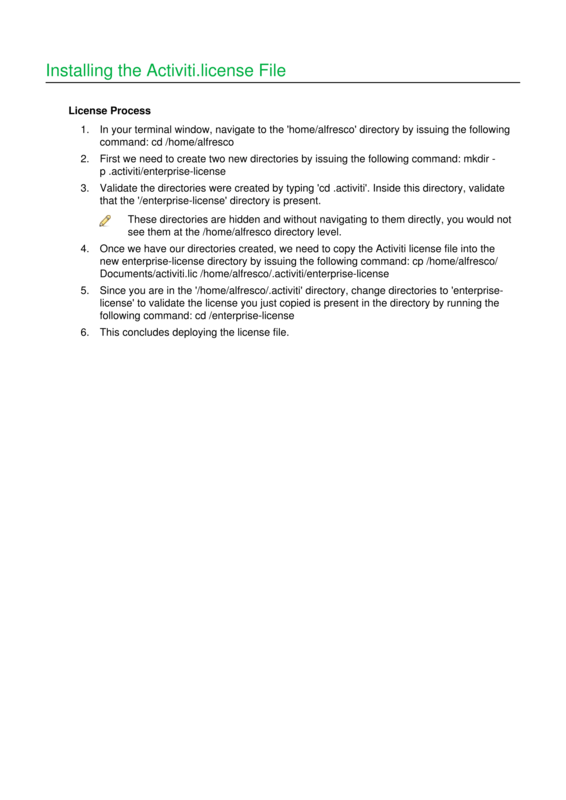 Note: While we use the Guest User Interface (GUI) in this demonstration, you may also use the command line. 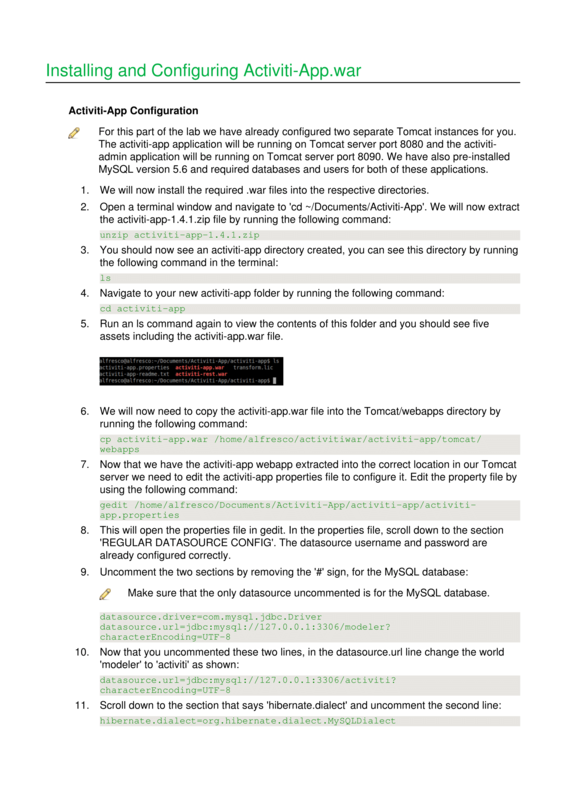 You will use the command line in your next lab, with detailed instructions included. Either version is valid. 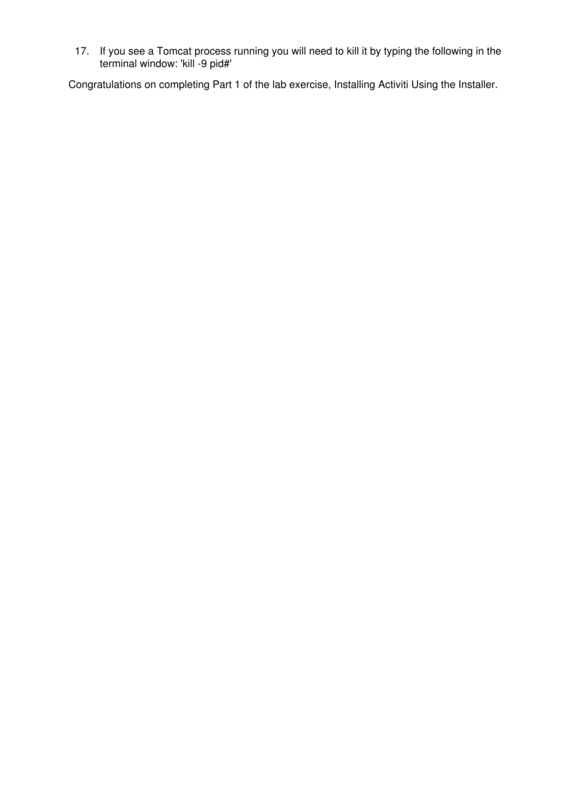 Note: When you edit the "properties" file, you will need to uncomment the appropriate line under the "hibernate" section to match the database you're using. In the labs, we will have you do this for MySQL, but it is contextual to your database of choice and will need to be validated in a real-world environment. Note: After watching the series of demonstrations, please proceed to the next lab exercise. 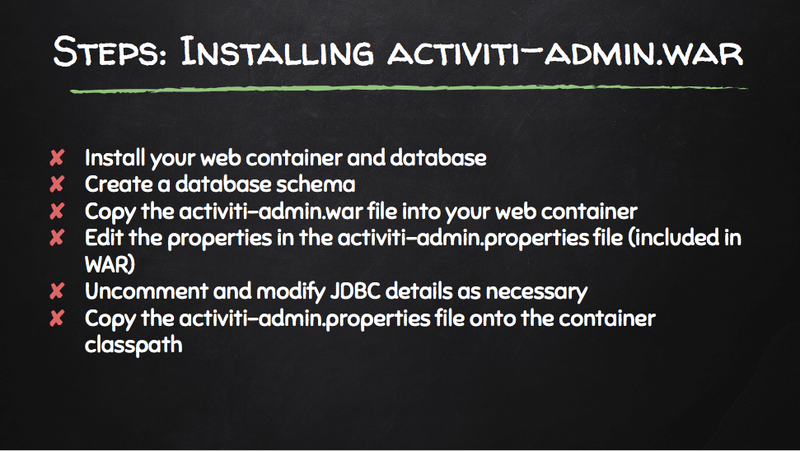 Perform these steps to install Alfresco Activiti Administrator webapp, activiti-admin. 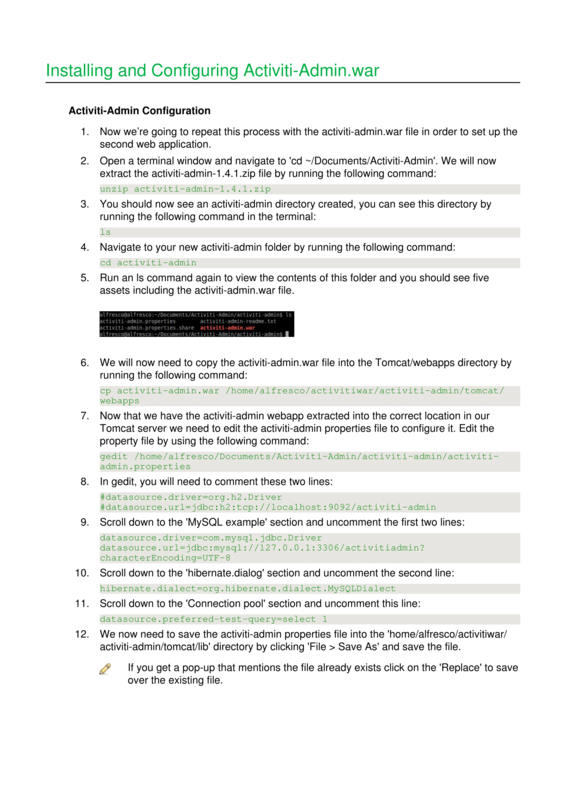 You use this to monitor and administrate your Alfresco Activiti engines. 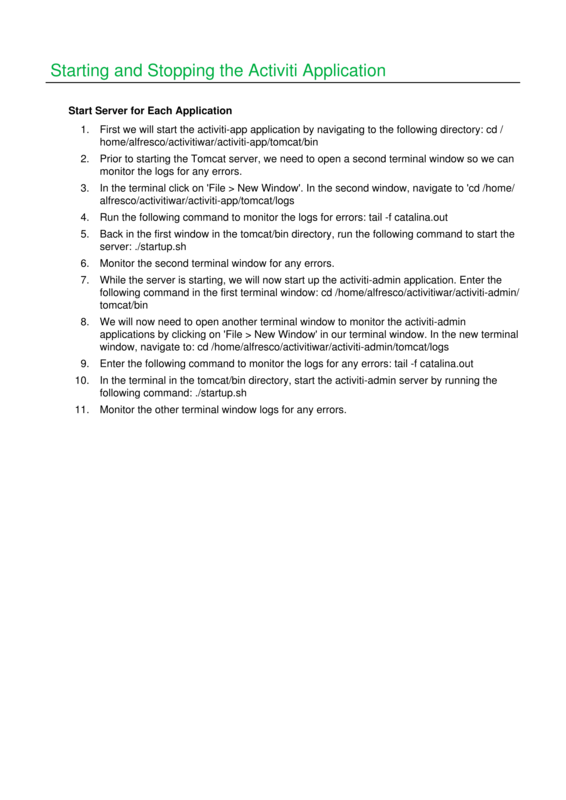 Listed on the screen are the steps required to complete installation of the Activiti admin app. 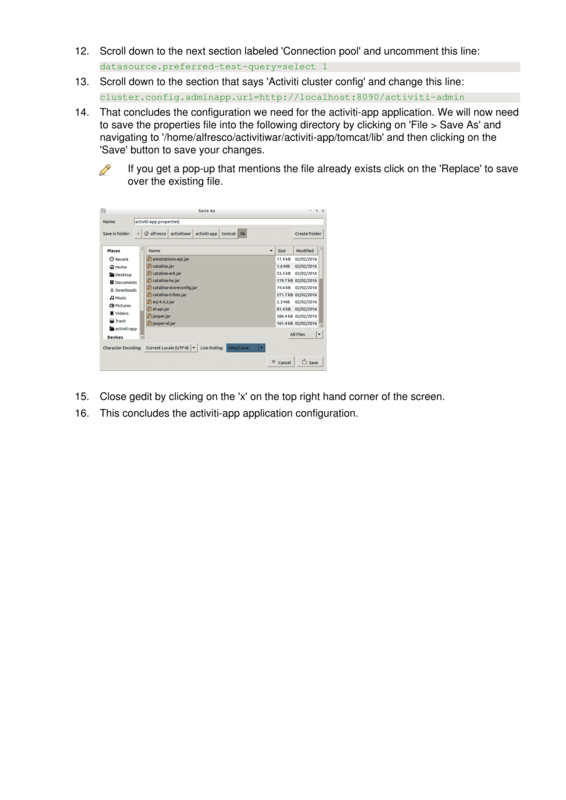 These steps are followed by a short demonstration showing how to install the application. Note: After watching the demonstration, please proceed to the next lab exercise. Note: After watching the demonstration, please proceed to the final lab exercise.